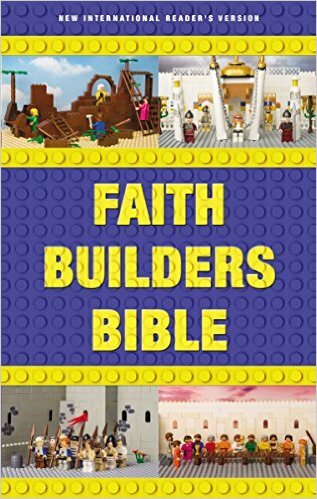 I was very excited to review Faith Builders Bible by Zondervan. The book has 24 full-color pages of illustrations. Each illustration depicts a brick version of a Bible story like Noah, The Last Supper, The Tabernacle, The Ten Commandments, Zacchaeus and Jesus Walking on Water. 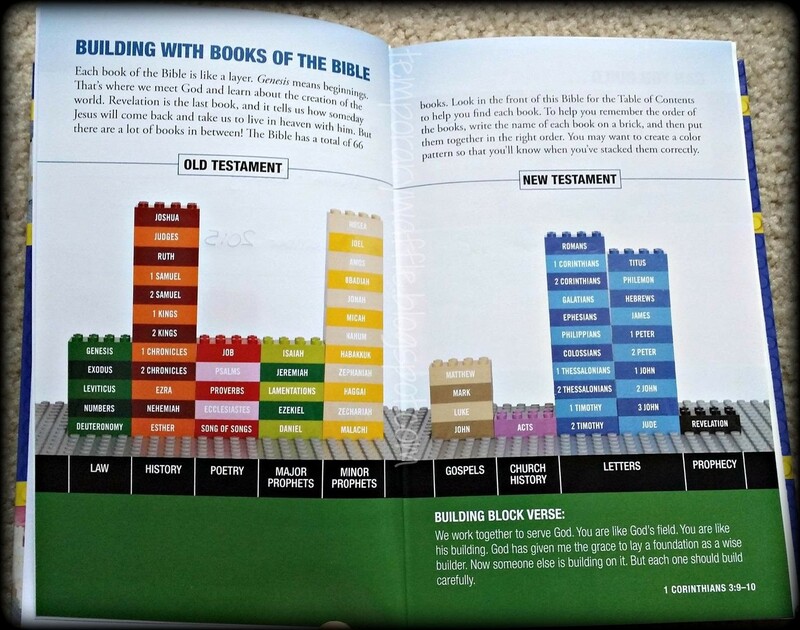 I really like the Building with Books of the Bible section which has each Book of the Bible as a brick in biblical order. I was disappointed with the lack of pictures. I think there should be more brick story images. The paper seems thin and the 9point font is too small for the 6-10 year age group that this book was intended for. I also think that the book size could be bigger than 5.5 x 1.1 x 8.5 inches. I do however like the NIrV. If I would look through this book at a book store before buying, I would not buy this book because of there are not enough pictures and the font size is too small. But I would buy Faith Builders Bible by Zondervan if I was looking for a compact NiRV Bible.